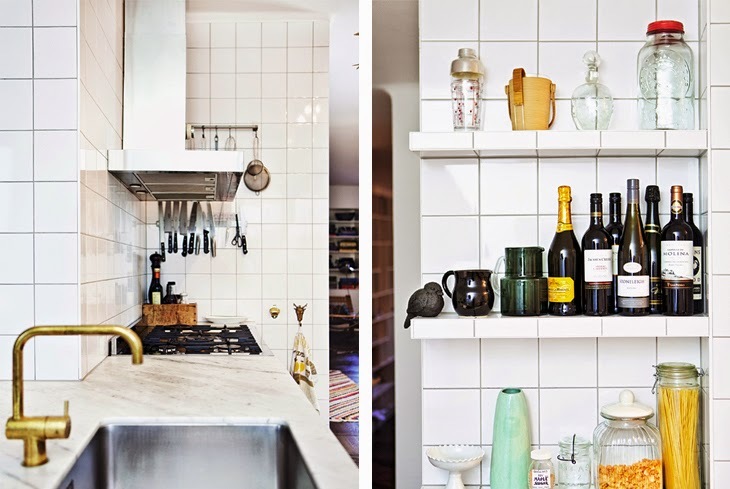 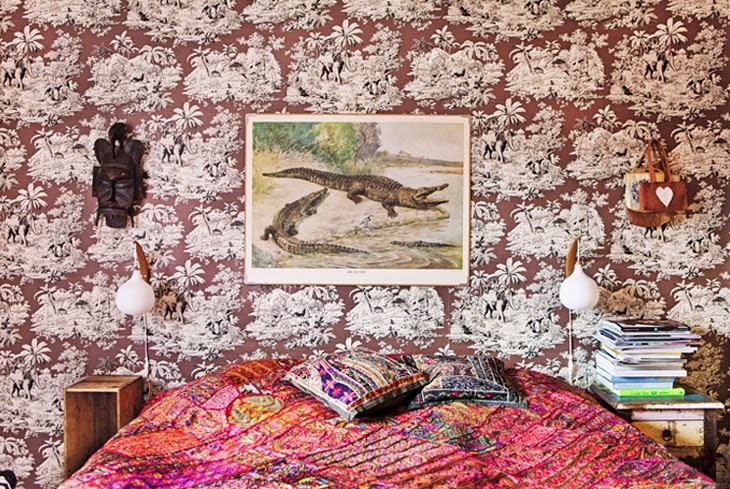 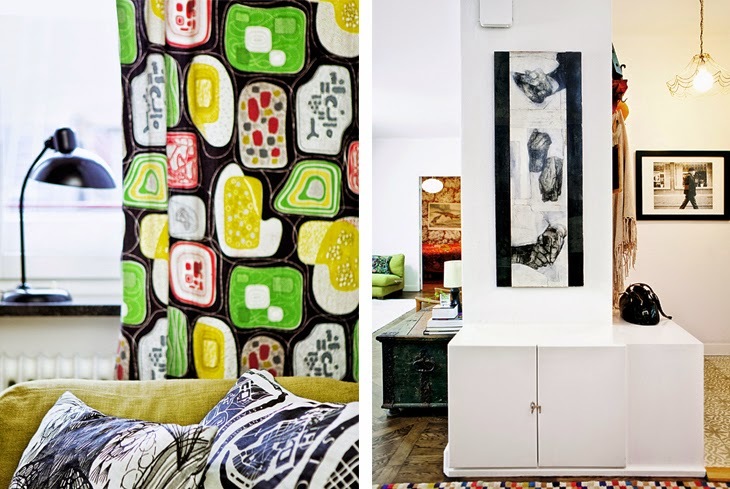 Ylva Bergqvist - chef, food stylist and recipe maker lives with her family in this colorful apartment. 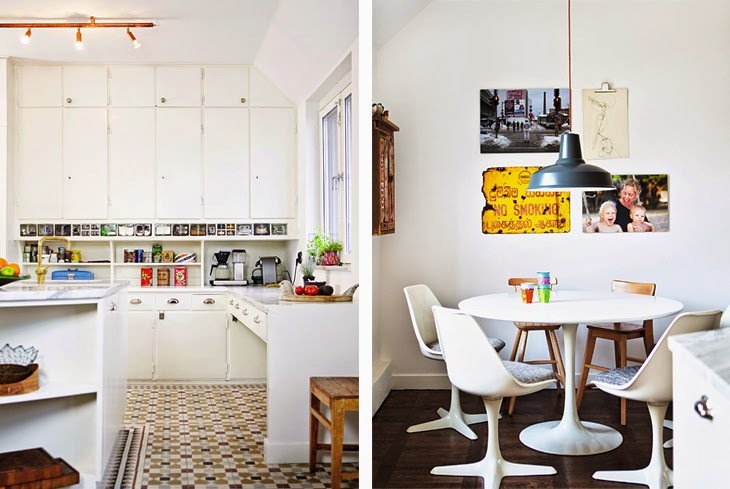 Kitchen is for sure one of the most important rooms here, with a beautiful big marble worktop and a stylish dining place containing vintage Arkana chairs and Saarinen table. 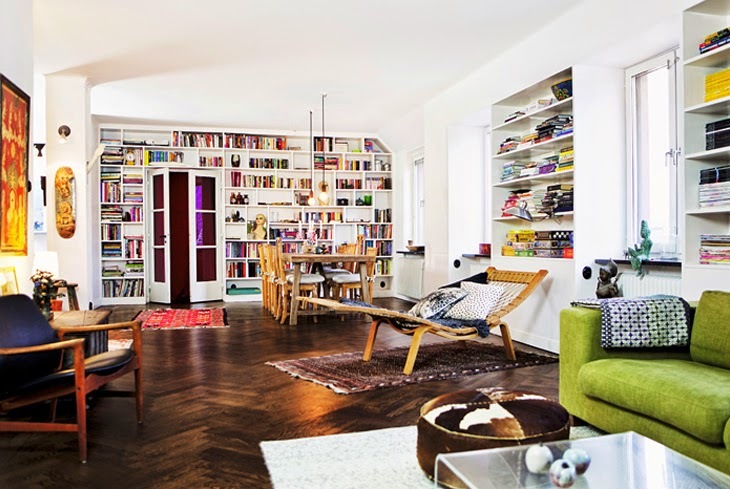 Extra large living room is an amazing space with a huge library and nice selection of vintage furniture.